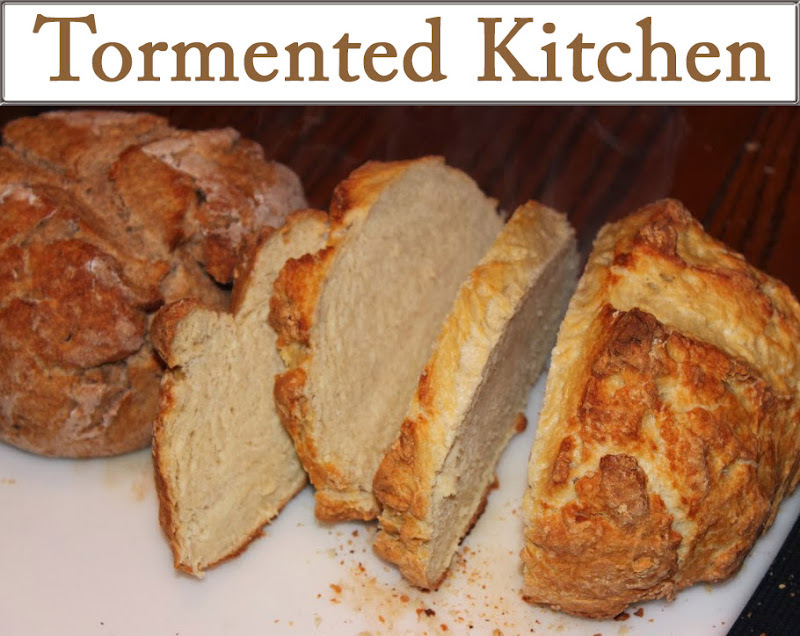 This recipe goes way back. I tweaked and tweaked back when I was in college to come up this. I even did a class presentation on this recipe for one of my engineering classes, using slides on a slide projector, showing my scientific process determining how different types of fat affect the crispiness/softness/chewyness of cookies. I determined that Parkay yielded the softest cookies compared to other brands of margarine. Butter yielded a crisper cookie. (Parkay cookies stayed softer after the cookies had cooled than butter cookies. Thank you trans fats, you rascals). Scientifically speaking, I made probably 10 batches of cookies so I definitely had a fair amount of data to work with. 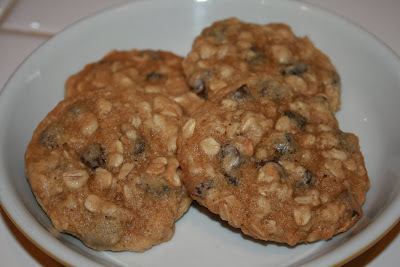 Now as deliciousness is concerned, even the type of oats impacts the texture of the cookie. 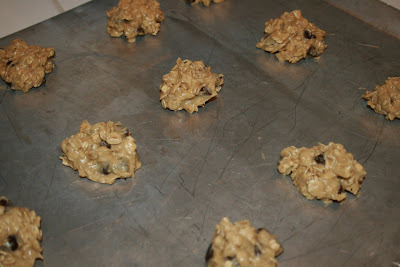 For this batch, I used Quaker Old Fashioned Oats. They are whole. They add a more chewy, oaty-nuttiness than Quick Oats. It's up to you what you like better. Both are yummy. 2. 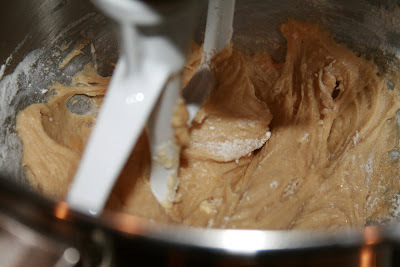 Using an electric mixer, cream butter and both sugars in a large bowl. 3. Add eggs, milk, and vanilla while beating. 4. Beat in flour, a little at a time. 5. Add salt and baking soda. 6. 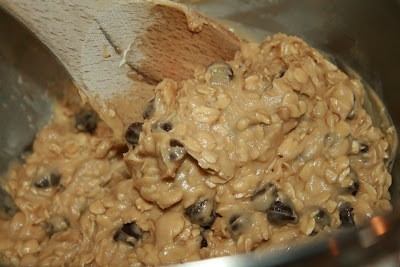 Using a wooden spoon, mix in oatmeal thoroughly. 7. Fold in chocolate and nuts. 8. Drop dough by spoonful on an ungreased cookie sheet. Space them about 2 inches apart. 9. Bake 10-13 minutes or until golden. 10. Let cool about a minute on the cookie sheet before transferring to a cooling rack to cool the rest of the way.